Welcome! 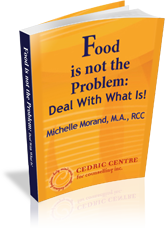 You’ve come to the right place if you’re looking for world class tools and Self Help for Self-Confidence, Healthy Relationships, Overcoming Eating Disorders and Addiction Recovery. 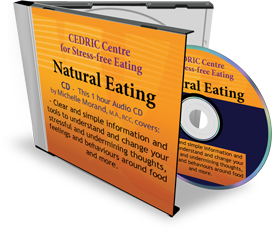 These self-help products and packages will help you stop feeling stuck and frustrated and teach you how to feel confident and secure in yourself, anytime, anywhere. We’ll teach you a simple method to create solid self-esteem in your relationships, your career and in all areas of your life. We exist to ensure that you have all the information and tools you need to stop struggling with self-consciousness, self-esteem, and the harmful patterns that self-doubt creates, such as binging, eating disorders, addictions, and unsatisfying relationships. 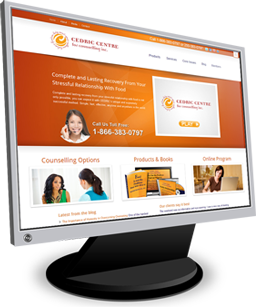 The CEDRIC Centre’s online recovery program is a safe, supportive, comprehensive program that provides you with daily and weekly exercises, counsellor facilitated teleclasses and discussion forums, educational videos, cd’s, and workbooks. You can engage as much or as little as you feel comfortable and as you have time for. Either way, our members have proved, that you can be successful overcoming your stressful relationship with food (whether you overeat, restrict, or purge) with just a few minutes each day. And if you’re at all concerned about the technology of an online program rest assured that the program is very simple to navigate and we have administrative staff who are very easy to reach with any questions (email or phone) you might have. 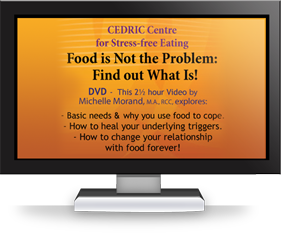 If you’re ready to be completely free, once and for all, of your stressful relationship with food this program will teach you a simple, step-by-step process to step free of the grip that food has on you. 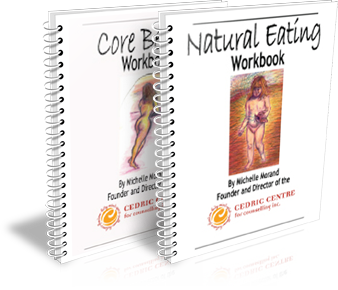 Purchase the videos, the workbooks, the CDs in a bundle and save!